In retrospect, the early stages of the project Lundis Bleus dates back to 1994, when we, Johan Storni and Bastien Vuilliomenet, met and became friends on the benches of the watchmaking school of La Chaux-de-Fonds in Switzerland. In the summer of 1998, having both earned our watchmaker diplomas, we both decided to continue our studies. 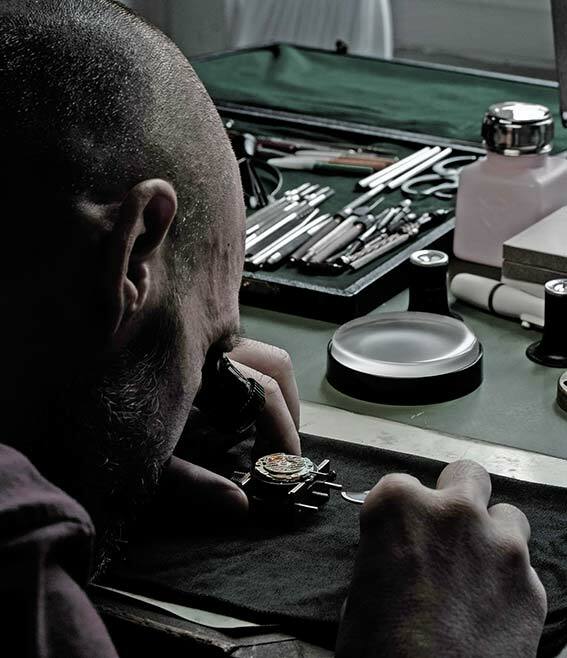 Johan continued his training in two different branches: he started with a degree as a restoration technician at the International Museum of Watchmaking of La Chaux-de-Fonds, and he later got a degree as a watchmaking construction technician. Bastien started by getting a professional technical maturity, which allowed him to get into the University of Applied Arts of La Chaux-de-Fonds, where he earned his degree in industrial design. 10 years after we met, while sharing a nice meal on the evening of Thursday December 30th 2004, we made a promise to one-day work together as independent watchmakers. The years that followed showed us that our friendship was real and durable, and that we would really be able to work together, and at the same time they allowed us to gain quite a lot of experience in the world of watchmaking. Johan worked for renowned houses such as Renaud & Papi (Audemars Piguet) and La Joux-Perret, and since 2008 has been working for Richard Mille in the development of watch movements and mechanisms. Bastien started his professional life by working in the design studio Etude de Style in Neuchâtel, and he stayed there from 2004 to 2007. He later went on to working as a watch designer and product design manager for Corum Watches for 6 years, and as of 2014 he became a product manager for the private-label company Roventa-Henex where he is in charge of managing watchmaking development projects for many confidential clients. Early 2015, with all the needed experience in watchmaking for creating a new brand, and all the best conditions lining up, Lundis Bleus started coming forth, and in November 2016, the first model “Ref. 1100” was ready to be commercialised. The beginning of the story is written, and we will work with passion to invent its future. The question is legitimate. There are so many watch brands out there today, so why create our own? 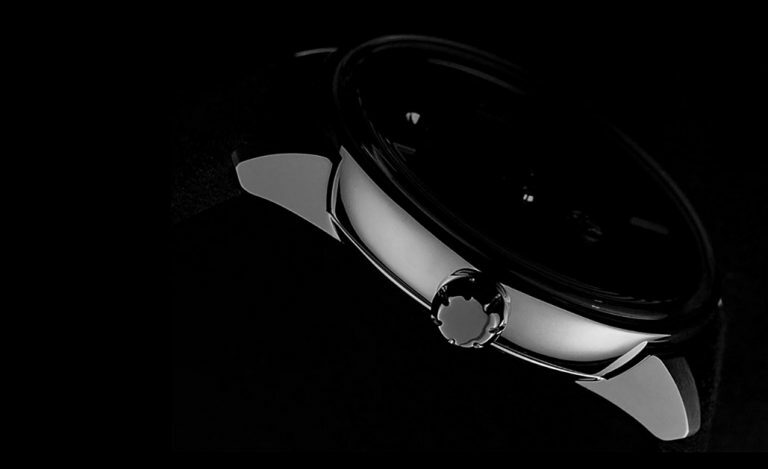 Because we simply wanted to provide an accessible alternative to independent watchmaking. By independent watchmaking, we are talking about watches that are imagined, drawn, assembled, inspected, presented and maintained by one single watchmaker, or a group of watchmakers. 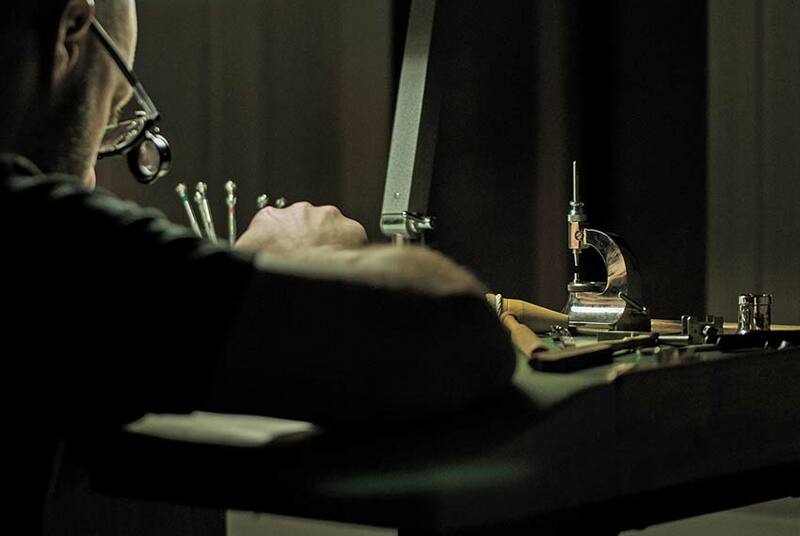 Authentic watchmaking: simple, passionate, friendly and respectful. In addition to that, we want to deliver all the information about our brand as facts, never embellishing anything. Total transparency on the origins of our components. Offer high-quality products without any ostentation or superlatives. Create kiln-fired enamel watch dials by hand, completely artisanal, at an affordable price. And, finally, place our customer service in the center of our attention, always being efficient, respectful and doing everything possible to obtain their complete satisfaction. We do not have the will, or the conceit to consider ourselves as precursors, visionaries, or revolutionaries in the world of watchmaking. We simply create watches (and jewellery) with passion while always trying to maintain the highest quality craftsmanship possible. A simple and true story, made of friendship and passion. For AUTHENTICITY. A concrete speech, without any superlatives or embellishments. For HUMILITY. Attention to every detail, and the total harmony of their ensemble. For BEAUTY. Fluid curves for a subtle and original design. For DESIRE. Total transparency on the origins of our components. For HONESTY. Meticulously tested materials, and a front-and-center place for Customer Service. For DURABILITY. Free spirit and free actions. FOR INDEPENDENCE. Until the end of the 19th century, many workers in the watch industry took part of what was known as “Blue Mondays” (Lundis Bleus in French), a self-granted form of freedom where the most skilled and well-paid workers would not go to work on Mondays, sometimes Tuesdays as well, and in some cases pushing all the way to Wednesdays. Historical traces prove the tradition’s existence as early as the 16th century in Switzerland. Looking for rest and entertainment to compensate their efforts in 15 to 16 hour-long workdays, Sundays excluded, the workers found themselves choosing to have the alcohol flowing in their local pub rather than being in their workshops. They would organize their work as freelance professionals do today, working whenever they wanted and following their own set of rules. With the arrival of industrialisation and the reduction of working hours in the early 20th century, the workers gradually lost their independence and freedom, becoming employees with shorter, rationalised and structured workdays – the end of Blue Mondays had arrived. Lundis Bleus imposed itself quite frankly when it came to choosing a name for our watch brand. 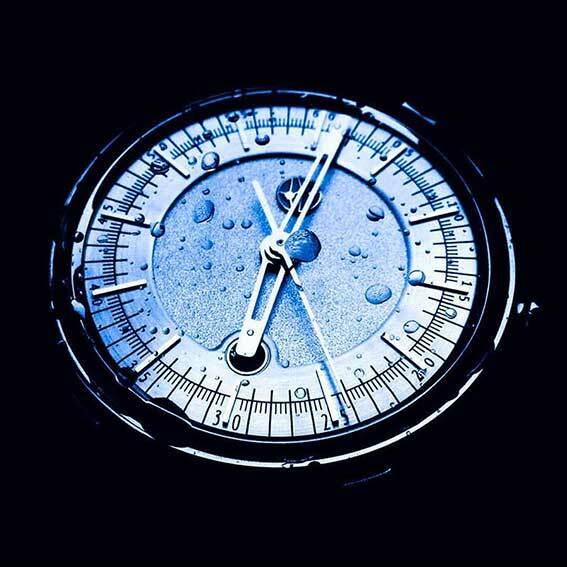 Besides the delicate poetic sound of the words “Lundis Bleus”, it is also the strong historical meaning of the words in the watch industry, and more importantly their affirmation of independent spirit, the core of our project. The logo is in itself a graphical interpretation of an alcohol molecule, to evoke the conviviality and overall humanity of our brand. Lundis Bleus is not, however, a glorification of the historical Blue Mondays and their excess alcohol and work absences, but rather a gesture towards those workers of the past, the real and free, close cousins of today’s independent watchmakers.